Eighties pop group Spandau Ballet have put aside years of bad blood and court battles for a comeback tour. The band will begin a world tour in the autumn, announcing an initial eight dates across Ireland and the UK, starting in Dublin on 13 October. All five original members of the band, who had hits like Gold and True, got together publicly for the first time since they split in 1989. A battle over songwriting royalties ended up in the High Court in 1999. Singer Tony Hadley did not speak to brothers Gary and Martin Kemp for a number of years - but they have now set aside their differences. Journalists at a press conference on HMS Belfast in London, the scene of a landmark early gig in 1980, were told there had been a gradual reconciliation between the bandmates over the last 18 months. Gary Kemp, the group's songwriter and guitarist, explained: "This is my other family really and I just missed them for the last 20 years. "I wanted to get together just to have a chat about all those great experiences we had. To be able to make some new experiences is a really great opportunity and that's what we plan to do." Kemp's bassist brother Martin - also known to EastEnders fans as club owner Steve Owen - added: "Families go through terrible times sometimes and they argue. "But in the end we've got back together - which is the main thing." Hadley said they had buried the hatchet after "the realisation that time is a great healer". "We all realised how powerful the band were, the songs, and what we did as a band in the '80s," he said. "We first met in the pub, had a few beers, the stories came up and the anecdotes and we just realised that we're great mates." Spandau Ballet had their first hit in November 1980 with To Cut A Long Story Short. 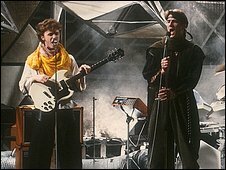 They went on to release six studio albums and had 10 UK top 10 singles, topping the charts with True in 1983. The world tour will focus on greatest hits, but if it goes well they will consider writing new material together, the band said. After the band split up, Hadley, saxophonist Steve Norman and drummer John Keeble sued Gary Kemp for a share of songwriting royalties. After winning, Kemp described the High Court battle as "like walking away from a car crash - you're glad to be alive but mortified and shocked by the wreckage". Until now, it had been feared that the band's relationships were permanently damaged. As recently as 2007, Hadley was quoted in The Daily Express as saying: "I know you should never say never, and bands in the past have said hell would freeze over before they got back together, but in our case I think hell is frozen and we still wouldn't do it." Since the split, the Kemp brothers have moved into acting, with starring roles in 1990 film The Krays. 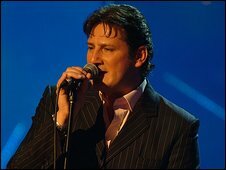 Hadley won ITV reality show Reborn In The USA in 2003 and appeared in the West End musical Chicago in 2007. Spandau Ballet are the latest in a series of groups to reunite - Take That and the Police have both staged successful comeback tours in recent years and Blur are reforming for a series of gigs this summer. Tickets for Spandau Ballet's first eight dates are on sale now through the band's website, and will go on general sale at 0900 GMT on Saturday.